Buy an Excursion ticket during your conference registration, or visit our Store on the AABC website. Kick off the conference with a visit to the Alaska Sea Life Center and a cruise through Resurrection Bay. The Alaska Sea Life Center offers wonderful opportunities to see harbor seals, puffins, octopuses, and more up close. On the Resurrection Bay tour, you'll have amazing opportunities to view wildlife such as sea otters, Dall's porpoises, and other natural fauna, fully narrated by the captain and crew members. The last time AABC visited Alaska, participants in the cruise saw a superpod of 40+ whales! 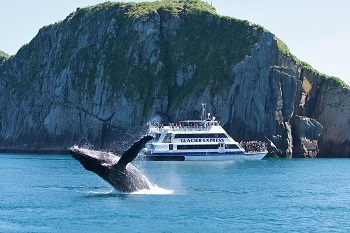 Ticket cost includes transportation, entry to the Alaska Sea Life Center, and a Resurrection Bay Cruise ticket. Cap the last day of the conference with a half day excursion to the Alaska Wildlife Conservation Center. 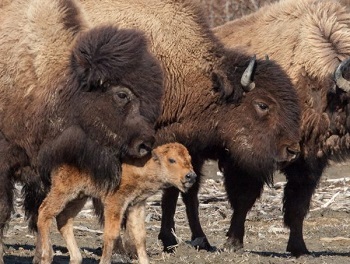 There you can learn about their Wood Bison Restoration Project to reintroduce the species (once thought extinct!) to the Alaskan wilderness. You can also come face to face with other Alaskan fauna such as bears, porcupines, eagles, moose, reindeer, wolves, and more. The Alaska Wildlife Conservation Center takes in orphaned or injured animals each year and rehabilitates them back into the wild or makes a permanent home for them at the center. 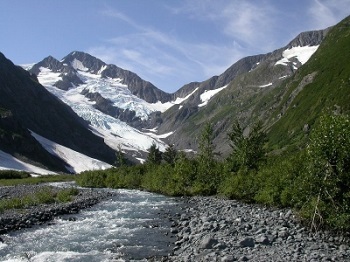 On this excursion, you'll also get the opportunity to take a short hike (about 1.5 miles round-trip) on the Byron Glacier Trail along Byron Creek. As you near the end of the hike, you can look up and see Byron Glacier and rugged cliffs. Be sure to bring rain gear; the valley is known for trapping rain clouds! Ticket cost includes transportation and entry to the Alaska Wildlife Conservation Center. Spend a leisurely afternoon taking a tour of Anchorage and an easy hike up to Flattop Mountain to see the amazing views of Alaska. The van driver will take the group on a circuit tour of Anchorage, then drive you to the start of the Flattop Mountain Trail. There you will be able to hike independently and at your own pace, whether you want to make it all the way to the top or want to turn around earlier. From Flattop Mountain, you'll be able to see an amazing bird's eye view of Anchorage and the surrounding landscape! Note: You must "purchase" a ticket now to register to go on the trip, but you will not pay any money now. "Purchasing" a ticket now will ensure that you have a spot reserved for you on the shuttle, but you will need to have your $23 ready on the day of the trip to pay to the shuttle company. Scroll down to plan your own trip or add yourself to our wait-list at the conference registration desk! Is a group excursion not your style? There are a variety of other cool things you can do in and around Anchorage! Hike or bike the Tony Knowles Coastal Trail: This 11-mile paved trail begins 3 blocks away from the Hotel Captain Cook in Downtown Anchorage and ends in Kincaid Park to the southwest. On the trail, you'll get spectacular views of Downtown Anchorage, the Chugach Mountains, and Denali. The trail is also a frequent moose crossing area once you pass the airport, so keep your eyes peeled! See the views from Flattop Mountain: Want to see the views from Flattop Mountain, but won't be able to join the group excursion? See it on your own time! Reserve a spot on the Flattop Mountain Shuttle which runs once every day from 12:30PM to 4:30PM, or call a taxi to take you to the trailhead. Go fishing for Rainbow Trout and Salmon: October is peak fishing season for Rainbow Trout! Silver Salmon can also be caught at this time of the year, so head to one of Alaska's many rivers and get to fishing! There are many companies that offer half and full-day guided fishing trips with gear included. Just pick the one that works best for you; below are some suggestions. Don't forget to buy your Alaska Fishing License before you go! See Alaska on a Flightseeing Tour: Visit breathtaking Denali National Park or the 25-mile long Knik Glacier by air! Rust's Flying Service, located near the Ted Stevens Anchorage International Airport, offers flightseeing tours via floatplanes manned by an experienced Alaskan bush pilot. After taking off from Lake Hood, your pilot will narrate your tour and ensure that you don't miss a single sight! Choose between their "Discover Denali National Park" tour or their "Alaska Glacier & Wildlife Tour".